Florist Phoenix Oregon for flower delivery! For a florist Phoenix Oregon, think of Judy’s Central Point Florist! We deliver flowers to Phoenix Oregon every day we are open which is Monday through Saturday. 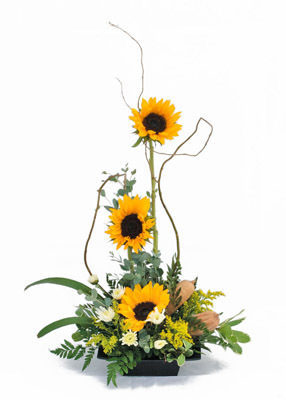 We offer not only the best in fresh flower designs, but also the largest delivery area in Southern Oregon. Our delivery charge to addresses inside the city of Phoenix Oregon is just $9.99. When searching for a florist Phoenix Oregon or anywhere else for that matter, make sure you find a real florist and a real florist that actually designs and delivers your fresh flower design. You can find both in the ads and the organic search results, websites posing as real local florists. Ordering from out of area websites will usually cost you more and often times over promise and under deliver. We always recommend you use a local florist and a florist that will deliver your flowers in their own van. You will find that that you will get more bang for your buck. Phoenix Oregon is a smaller city here in Jackson County. In the last census in 2010, Wikipedia reports a city population of 4,538. For a florist Phoenix Oregon, there are only a few florists that actually deliver to Phoenix Oregon and we are all in neighboring cities. Judy’s Central Point Florist is one of those local florists and one that will take great care of your flower orders. Judy’s has a website at www.judysflorist.com that can help you find fantastic floral designs that we can deliver to Phoenix Oregon for you to your friends and family. We offer flowers, balloons, stuffed animals, chocolates and more. And wherever you order your gifts for delivery from a florist Phoenix Oregon, remember to make sure they are a real local florist to get the best in quality and service. Thank you and all the best from all of us here at Judy’s Central Point Florist and Gifts. Thank you for another informative site. The place else could I get that kind of info written in such a perfect approach? I’ve a challenge that I am just now running on, and I’ve been on the glance out for such info.